Will the world’s largest ATC system ever be the most advanced? Despite the US air traffic control (ATC) system being the largest and most complex in the world, it is still highly dependent on WWII-era technology, with even developing countries as Mongolia using satellites more extensively. Recently, several jabs from President Donald Trump have spurred discussion about the urgent need to modernize the government-run system by possibly privatizing it. AeroTime talked with proponents and critics, trying to find out what effect would a potential privatization of the ATC have. “I hear we’re spending billions and billions of dollars. It’s a system that’s totally out of whack,” is how President Trump commented on the state of the country’s ATC system during a meeting with airline executives in February. His words have triggered increased talks regarding the matter – same as it was with previous jabs at Boeing and Lockheed Martin for high project costs. However, it is important to note that the discussions about possible ATC privatization have been going on for years prior to that. FAA – too slow to reach the goal? Over the past seven years, the FAA has spent $7.5 billion in congressionally appropriated funds on the air traffic modernization program known as NextGen. In essence, the NextGen project, divided into stages between 2012 and 2025, seeks to base the US air traffic control system on satellite, rather than radar technology. Such development would potentially shorten routes, reduce delays and improve safety. While the direction it is moving towards pleases all parties involved, it is the pace (and cost) that raises concern. “The reason the ATC improvement is a mess is due to a combination of massive and continued FAA incompetence, and the airline industry’s complacency and reticence over the years to call them on it,” is the view expressed by aviation analyst Michael Boyd in an op-ed for Forbes. The current system struggles to keep up with the increasing air traffic. Despite the FAA’s efforts, block times – the total amount of time a flight takes from pushing back at the gate to arriving at its destination – have increased. For example, it took only 59 minutes to fly from Las Vegas to Los Angeles in 1990. Now, the average time for such a journey exceeds 70 minutes. The traveling and shipping public is already paying for a state of the art ATC system, but are not receiving the benefits promised, according to Kozakos. And the overall amount paid is only going to grow, as the DOT Inspector General now estimates NextGen costs to potentially exceed $100 billion, compared to the implementation cost of $40 billion initially projected by the FAA. The House Transportation Committee proposes to give control over more than 300 air traffic control facilities and 30,000 workers to a private non-profit entity managed by executives selected by aviation industry participants. Such a development would not be unique on the world stage, as the United States is the last country of such caliber that still has its air traffic control system tied to a governmental transport agency. It is also the sole developed country that uses taxpayer money to support the ATC system, instead of pooling the budget from customer charges. The House Transportation Committee’s proposal has seen the support of NATCA air traffic controllers’ union and the Air Traffic Association, but not everyone is happy with the possible reform. Such groups as the Americans Against Air Traffic Privatization say that corporate control of the ATC would exclude workers and taxpayers. For example, Andrew Langer, President of the Institute for Liberty, and one of the critics of ATC privatization fears that the proposal “being pushed almost exclusively by the airline lobby” would create a quasi-governmental, public/private entity, which he compares to Amtrak and Fannie Mae. According to him, such hybrid entities lack both the profit motivation of the free market and political accountability of federal agency and are prone to fail. Others, like Robert Poole, director of transportation policy at the Reason Foundation, dismisses such fears as unsubstantiated, as the proposal calls for a federally chartered, non-profit organization, different from such government corporations and Amtrak or government-funded entities like Fannie Mae. He compares the proposed vision to Nav Canada, the world’s second-largest air navigation service provider by traffic volume. Opinions aside, the Canadian entity does to outperform its US counterpart, with an average cost per controlled flight hour being $335, compared to $453 the FAA requires. Nav Canada is also ahead of the FAA in terms of implementing next generation technology: satellite tracking and digital communication between cockpit and tower. 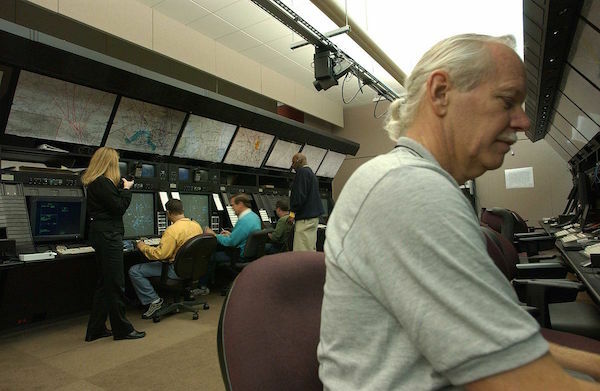 Privatizing the ATC would be the biggest shift the system has seen after 1981, when President Ronald Reagan laid off more than 10,000 striking controllers, which led to the dissolution of their union. According to official numbers, there are approximately 50,000 people in the FAA Air Traffic Organization. What part would be privatized remains to be seen. The FAA employs more than 14,000 controllers and about 2,500 supervisors. As in any other case, personnel costs are the biggest part of the operations budget. All things considered, a creation of an independent, non-profit entity with representatives from each stakeholder, including the federal government, in which no individual stakeholder holds a supermajority, advocated by such groups as Airlines4America, might bring benefits to all parties involved. With the FAA focusing on regulating safety, satellite technology and advanced digital communication could be implemented across the board at a faster pace. Who knows, maybe one day the US system will be as advanced as that of Canada and Mongolia!